So, it looks like it is another great day to review a great another pair of gaming headphones, and this is from Turtle Beach with Stealth 350VR. 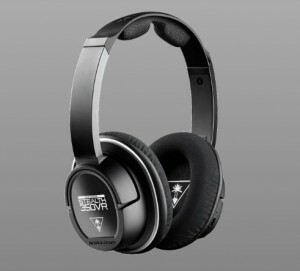 I believe that this would be the first time that I reviewed Turtle Beach product, and I hope that it is not the last. I’m not certain why it is called the Stealth 350VR, because I am not certain why 350 is in the name. I mean, the VR is obvious because the Stealth 350VR has an ergonomic VR design which is good for VR headband cables like the PlayStation VR, Oculus Rift, and HTC Vive. To this writing, VR hasn’t really taken off, and maybe it is necessary to make it more…comfortable to an average user. The Turtle Beach Stealth 350VR has large 50mm Neodymium speakers which has over-the-ear cushions that has some great highs and lows. To make this even more great, it has battery-powered amplification, and it is rechargeable to make it good enough for 30 hours. Some of these controls are on the earcups themselves. Oh, there is also a noise-cancelling microphone, and it will plug in and can be removed for things like listening to music. So, this is quite something, and the only thing that it doesn’t have is wireless capability. Perhaps there is another time for that. In the meantime, it can be purchased on the Turtle Beach website for $79.95.